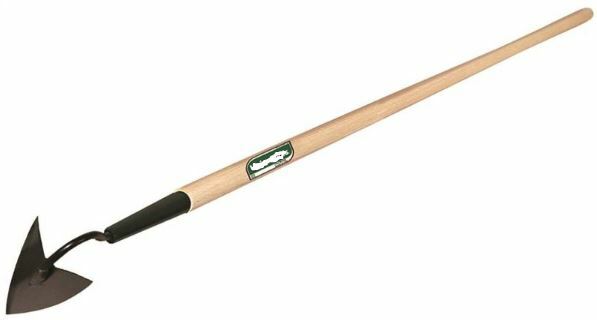 The hoe garden tool is a very useful tool for your garden and you can use it for different chores. Did you know that there are different types of hoes? Actually yes, there are. It also depends on the garden that you have. Is it a big one or a small one? You will choose the right one for your garden. 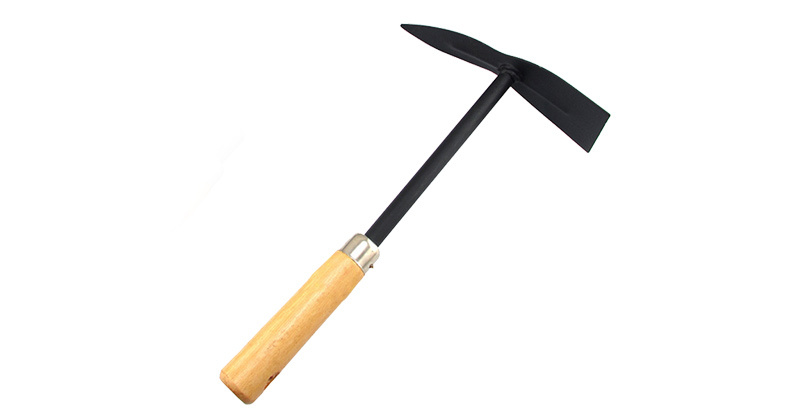 The hoe garden tool is useful because you can use it in order to mound the soil, to cultivate the garden, to stir up the soil, and to dissolve the weeds. Depending on the jobs that you have to do in your garden you will make the right choice. 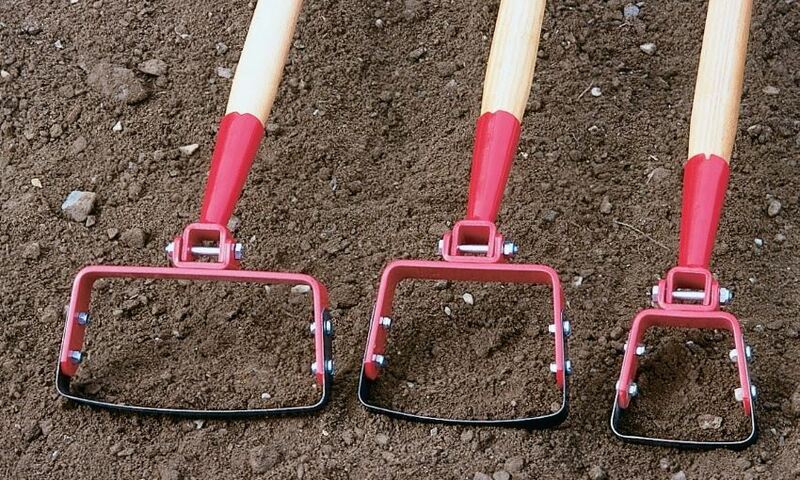 There are different types of hoe garden tools. These are: the stirrup hoe, the collinear hoe (onion hoe), the Warren hoe (Dutch hoe), the paddle hoe (draw hoe), and the rotary hoe (Tiller hoe). Each one of these is used for different purposes. The stirrup hoe is a useful tool. It is used in order to dig out unwanted weeds without moving the soil a lot. It is a hoe garden tool that you can find it also with the name of shuffle hoe or loop hoe. What makes it different is that it has an attachment which makes it seem like the stirrup on a saddle. The movement that you can use with it is back and forth. In this way, you will work better with it. The collinear hoe (or else onion hoe) is perfect if you don’t want to suffer from back pains. It has a blade or paddle on it, you’ll choose with which one you’ll work better. When you use it you don’t have to bend and you will be able to use it easily. By using it you will be able to reach narrow spaces in your garden. The blade is parallel to the soil surface which means that you’ll be able to work easier. The particular hoe is thin and long, 18 x 3 cm. The Warren hoe (or else Dutch hoe) is great for tough chores. This hoe garden tool can be used in tight spaces. You can also use it to dig out all the weeds that you can’t normally dig out. It has a spade or triangle shape that has a flat paddle or a blade on it which forms a 90-degree angle. 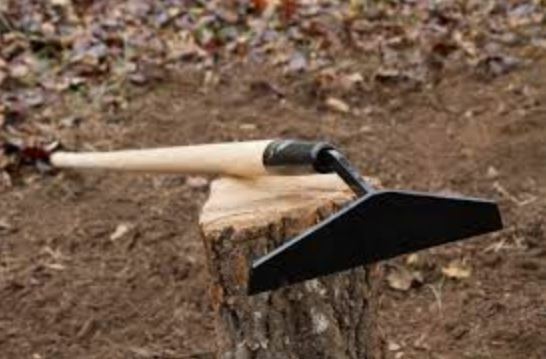 The paddle hoe (or else draw hoe) is the basic hoe garden tool. If you use garden tools for the first time then this tool is just for you. Two other names that are used are planter and chopping hoe. When you use it you can shape your soil. You can also remove unwanted weeds and mound the soil too. The paddle is a small rectangle (15 x10 cm) and its angle is 90 degrees. You can start by using this one first and then move on to more demanding ones. It depends on what you need to do. The rotary hoe (or else tiller) is used to blend the soil and dig out the weeds before you start planting your flowers. It that has two categories the small one and the big one. The small one is used in your garden. You can prepare your patch in order to plant. The big one can be used to cultivate your crops. You can attach it to the back of your tractor if you have a big garden or even a farm. 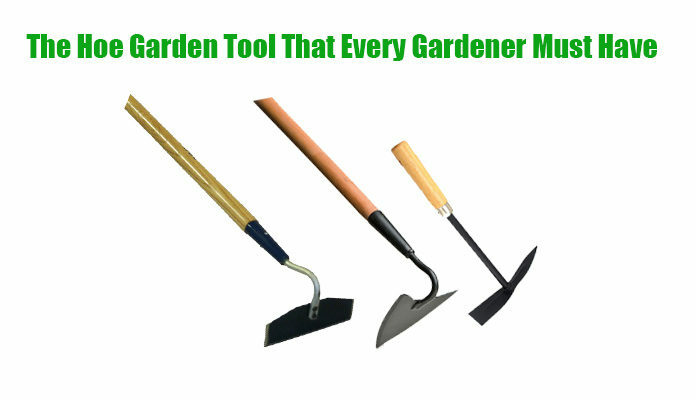 Apart from the different types, you can use a hoe garden tool to move your garden plants. You can choose which plants need to be moved, this plants could be the overgrown ones. Also, you can break your fresh ground. This means that you can clear and create a new space in your garden. Finally, you can use it to break through the ice. In snowy days if you have snow on your roof you can use it to break it. It is a basic tool that you should always keep in your gardenYou can dig out unwanted weeds and it can also help you plant new flowers. There are different varieties of hoes with paddles or even blades. Depending on what you have to work in your garden you will choose the right type for you. If you are a beginner then use the paddle hoe because it is the best choice. Hoe garden tool is a tool that everyone should keep in their gardens.